For many years Palloys works with best Australian and International jewelry brands. And I have decided to redesign the old ways of using product catalogues. Normally Palloys’ clients would receive a yearly jewelry catalogue with all available product ranges. I was the first employee, who suggested to translate the old way of communication into something new, which resonates with today’s business trends. Enhance well-known brand catalogue experience with one modern-looking efficient app. Transform user experience into something more powerful by allowing clients to see jewelry pieces in 3d. 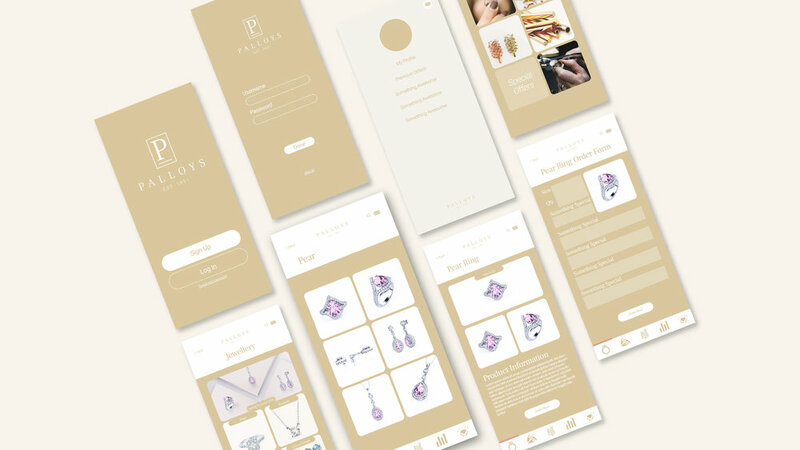 Reach to new audience of young jewelers, who operate mostly on mobile. To make updated product lines information instantly availabe to our clients.